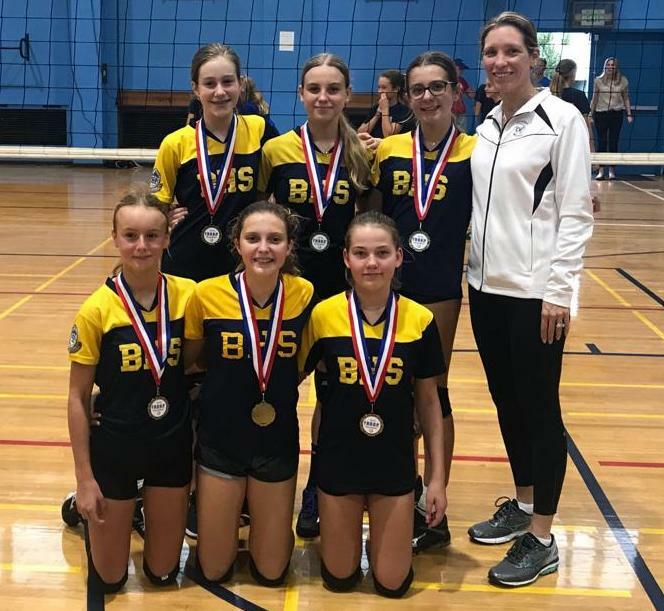 BHS Blue conquered all opposition in winning the Bermuda School Sports Federation’s Middle School Girls Volleyball Tournament inside the MSA Gymnasium. BHS Blue breezed past the Group Stage with no opponent reaching double digit points. They faced BHS Gold in the Semi-Finals and won by a comfortable 25 - 15 margin before defeating Saltus Red 25-17 in the Final. Saltus had previously defeated Warwick Academy Blue in the other Semi-Final 25-19.